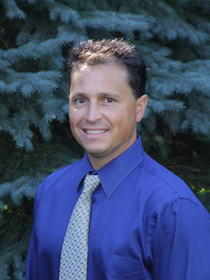 Dr. James M. Yonkee was raised in Roselle, IL and is a 1990 graduate of Loyola University of Chicago where he earned a Bachelor of Science Degree in Biology. He continued his education at the Illinois College of Optometry in Chicago graduating with a Doctorate in Optometry in 1994. His externships included rotations at Great Lakes Naval Hospital in Primary Care of recruits, active duty personnel and their dependents. Rotations in contact lenses, emergency care, retina, low vision, pediatrics and primary care were at the Illinois Eye Institute adjacent to the Illinois College of Optometry. Dr. Yonkee was certified in the Medical Diagnosis and Treatment of Eye Disease in 1993 from the International Association of Boards of Examiners in Optometry. He was also recognized and presented an award from the Illinois College of Optometry in Acknowledgment of Exemplary skill in Pediatrics and Binocular Vision in 1994. Dr. Yonkee is certified by the National Board of Examiners in Optometry and licensed to diagnose and treat eye disease in the state of Illinois. He has over 18 years of experience in fitting many types of contact lenses, co-managing laser vision surgery, diagnosing and managing eye disease such as dry eye syndrome, cataracts, glaucoma, diabetic retinopathy and macular degeneration. Before opening Total Vision Family Eye Care, Dr. Yonkee was practicing optometry in conjunction with a leading optical company in Oak Park, Illinois. The sixteen years he spent there gave him the background and experience to become an expert at fitting contact lenses and bifocal systems tailored to the individual lifestyle of each patient. Dr. Yonkee truly loves what he does and believes it is a privilege to provide eye care to each and every individual he meets. His passion and vision led him to open his own private practice to provide a lifetime commitment of the highest quality eye care to all his patients. Each patient receives comprehensive, relational-based care in a comfortable, yet professional atmosphere. He is dedicated to continue making advancements in the types of services, technology and products patients deserve. When not practicing Optometry, Dr. Yonkee enjoys spending time with his wife, their three children and two dogs. He also stays active by running, playing hockey, golf and loves the outdoors.